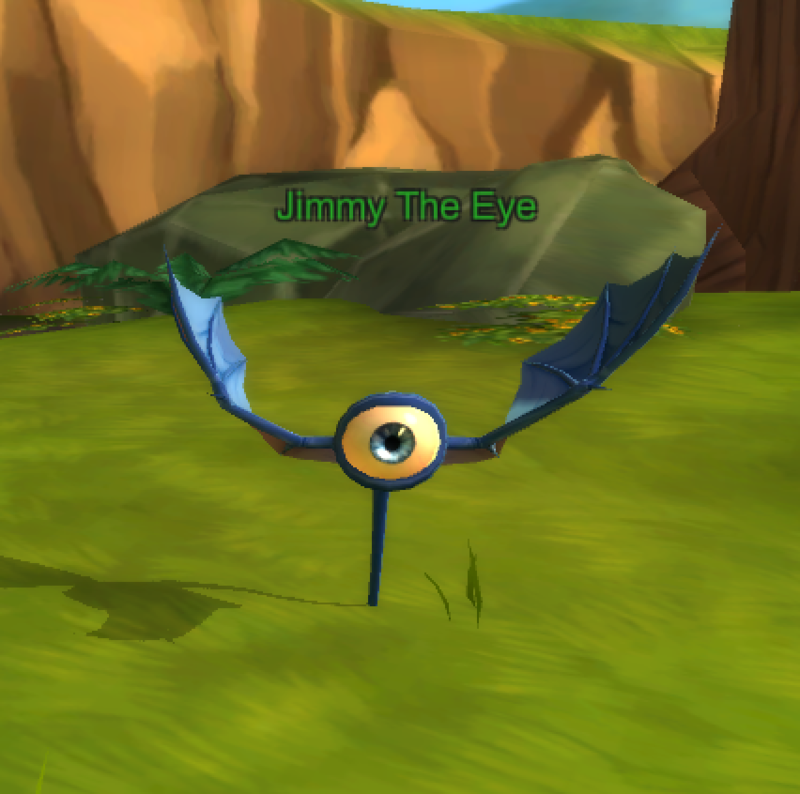 AdventureQuest 3D: How to Play! Note: if you have any suggestions, additions or corrections for this guide, please PM an AQ3D ArchKnight. Thanks! 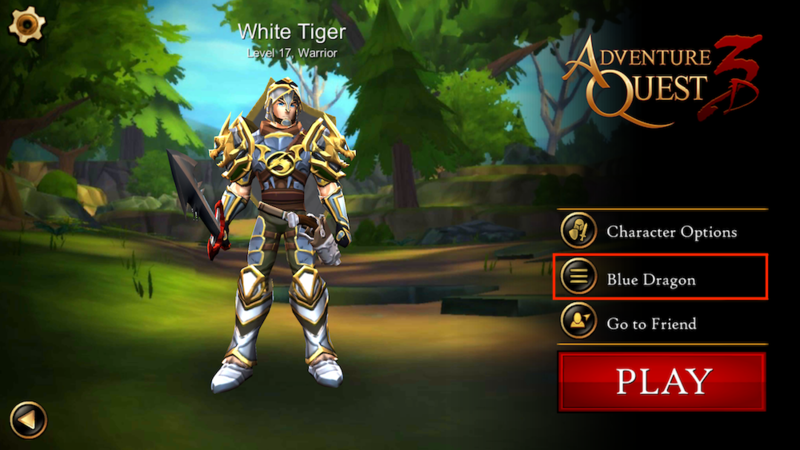 AdventureQuest 3D (AQ3D) is a cross-platform massively multiplayer online roleplaying game that allows players to play on the same account from their PC, Mac, iOS, or Android device. 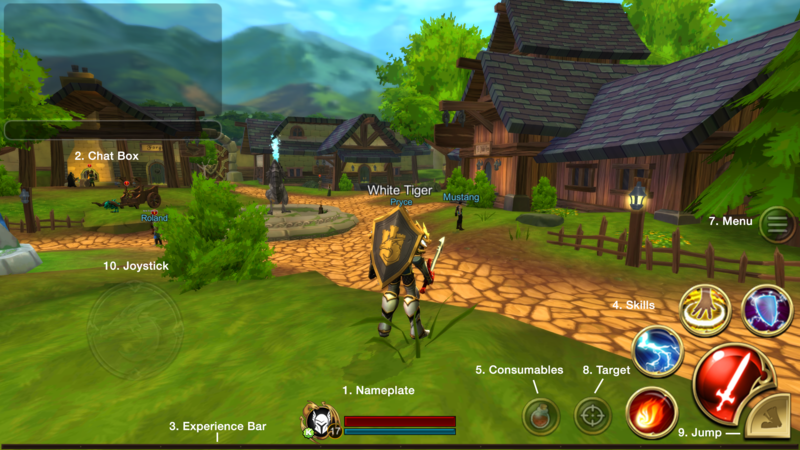 AQ3D features fully explorable, beautifully rendered 3D environments and fast-paced real-time combat, and is characterized by the same epic high adventure, punctuated with unexpected comedy. Who gets to play the game? What about payment? Anyone can play AQ3D for free. There are paid upgrades to Guardian or Dragon Guardian, and you can also purchase Dragon Crystals (DCs). To learn more about Guardian/Dragon Guardian, visit this page. To learn more about Dragon Crystals, visit this page. 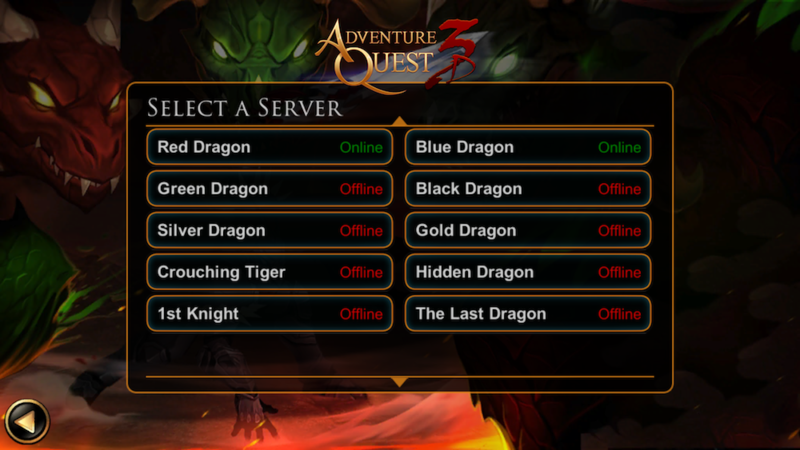 There are 2 servers to choose from, Red Dragon and Blue Dragon. A server will be automatically selected for you upon login, however you can enter the server selection screen and choose a different server by clicking on the server name after logging in. On PC, you can use the arrow keys or w, a, s, d keys to move forward, backward and pan the camera left and right. You can also use the q and e keys to walk left and right. These keys can also be remapped in the game settings. On mobile, you can use the on screen joystick to walk around and move the camera viewpoint by swiping around the screen. You can travel to different places by using the travel menu in the game menu, or the Travel Crystal located in Battleon. You can also use the /join <location name> command to quickly join a location. Emotes are pre-programmed actions that your characters can use to convey emotion, ideas, or just have fun. To use them, simply type the command into your message box. /thewave: you do the "wave"
Health: Determines how much damage you can take and is reduced every time an enemy attacks you in battle. If your health reaches 0, you will die and you will need to wait 10 seconds to respawn. You will automatically regenerate health outside of combat, but you can also regenerate health by using potions and certain skills. Mana: Allows you to use skills that consume Mana. You will automatically regenerate mana outside of combat, but you can also regenerate mana by using potions. Attack: Increases the amount of damage dealt to enemies. The stronger your attack, the more damage you can inflict. The secondary stats use a rating system. As you increase your rating in each of these stats, they will become more effective (ie. more damage absorbed, higher chance of crits, etc). Armor: Reduces the amount of damage you take during combat. The stronger your armor, the weaker your enemies' attacks are. Evasion: Increases your chance to avoid incoming attacks. Crit: Increases your chance to deal extra damage to your enemies. Haste: Increases your cast speed, allowing for faster attacks. Each slot will give certain varying degrees of these stats, with some stats being more heavily favoured than others. For example, a Weapon will always be more heavily weighted in Attack power vs a Helm. Items will be able to have any combination of these stats available on them, but they may not have all the stats on them. An item's rarity affects the maximum stats available on the item. Each class has 1 auto attack skill and 4 class specific skills. 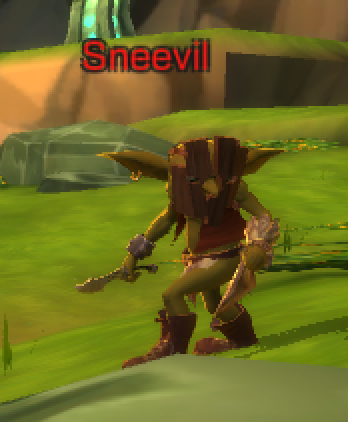 Skills can be used to attack your enemies or apply a buff/debuff effect. When you use a skill, it will need to recharge before you can use it again. There is also a global cooldown where all skills will need to recharge for a brief period of time after a skill is used. Inspect: Brings up the player's stats. Invite Party: Invites the player to your party. Report: Report the player for rule breaking. 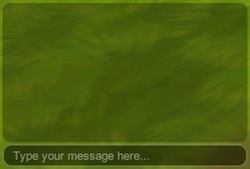 You can talk to other players in the area you're in by using the chat box. 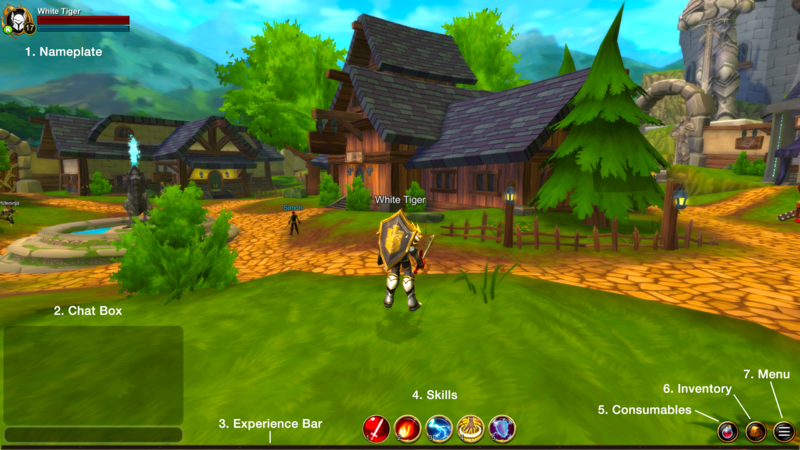 For PC players, it is located at the bottom left of the screen and for mobile players, it is located at the top left of the screen. You can control the height of the chat box in the game settings. 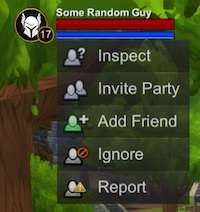 You can send friend requests to players by clicking on their character and selecting the Add Friend option, or by using the /friend <player name> command. 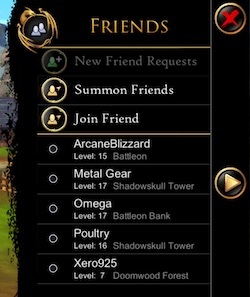 Once the player has accepted your friend request, they will appear on your friends list. This will allow you to see which friends are online, which server they are on, where they are and what level they are. If a friend is online, you can go to them or summon them to you. 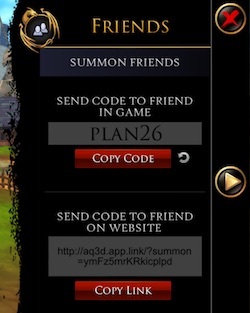 You can summon friends to your location by going into the Friends menu option and selecting the Summon Friends option. A custom code and link will be displayed that you can give your friend. If your friend is not logged in, they can enter the code by selecting the Join Friend option on the character select screen. 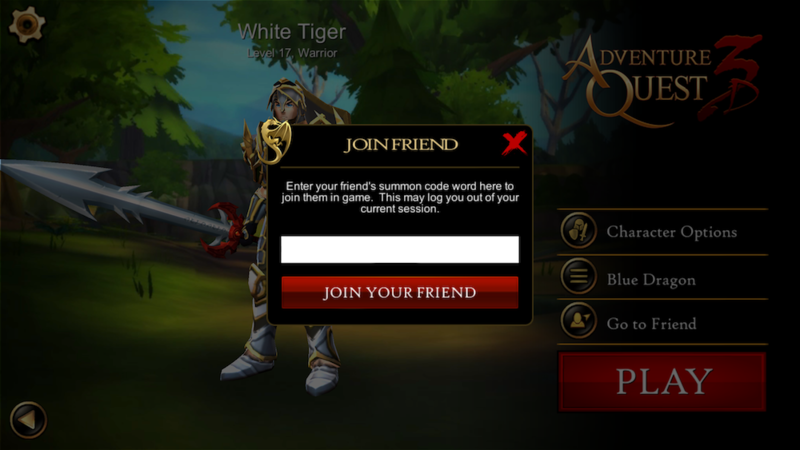 If your friend is logged in, they can enter the code by selecting the Join Friend option on the friends list screen. You can form a party of up to 5 players by inviting players to a party through the Player Context Menu, or the /partyinvite <player name> command. The first player to create the party will be the party leader. They can promote another member of the party to become the leader using the /partypromote <player name> command. Party Leaders can also kick players from the party using the /partykick <player name> command. To enter a private party chat, you can use the /p or /party command. You can travel to a party member in a different map by clicking their name and choosing the "Go to" option. If the map is full, or you do not meet the requirements of the map that your party member is in, you will not be able to go to your party member. To leave a party, you can use the /leaveparty command. These are the default keyboard shortcuts. You can remap them to different keys in the settings menu. Experience (Exp/XP) is required to level up your character and is gained by defeating monsters and completing quests. The current level cap is 17. 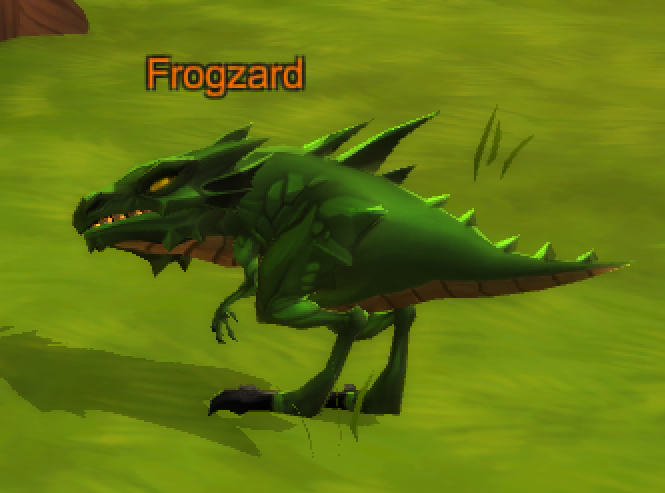 AQ3D has 2 types of currency, Gold and Dragon Crystals. Gold is the main currency and can be obtained by defeating monsters and completing quests. Gold can be used to purchase items from shops and craft equipment. You do not need to pay real money to get gold. Dragon Crystals (DCs) are obtained by spending real money to purchase them on Steam, the AQ3D site, or the AE Master Account Portal. DCs can be used to purchase exclusive items, speed up crafting, refill your dungeon keys, purchase bank vaults, and more. To learn more about Dragon Crystals and how to purchase them, visit this page. Regular Players have white names. Developers have gold names and are staff who write, code, do art for and animate the game content. Moderators have green names and are volunteers who read reports, helping to keep the game safe and fun and free of trolls, scammers and flamers. 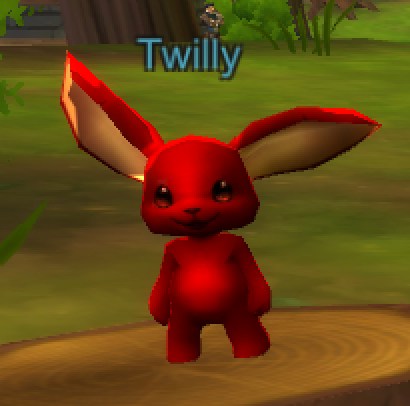 Testers have blue names and are volunteers who test the releases, classes and other game content to try to make them as bug free as possible before you play them. White Hats have teal names and are talented and knowledgable hackers who volunteered to use their skills to help make the game better instead of trying to use them to cheat or break the game. Note: There are a few people who have blue names that don't fall into the above categories, such as visiting guest stars, game journalists, and other invited professionals. Why are monsters' HP resetting when I'm attacking them? Monsters will "reset" if you attempt to attack them from outside their reachable range. This is to help prevent exploiting the monster's pathing (that is, attacking them in a way that does not allow them to attack back). Why have I stopped getting experience points? This means that you have hit the level cap, which is currently 17. Why do some items not give stats? Certain items are cosmetic only, which can be equipped as a cosmetic item but do not give any stats. Items that give stats can also be equipped as a cosmetic items, but they will not give any stats. Will there be more than 4 classes? Yes, more classes will be added in the future. Will there be PvP, Pets, Houses, and Guilds? Yes, PvP, Pets, Houses and Guilds are coming soon. What are the differences between alpha, pre-beta, closed beta and open beta? They were different stages of development for the game. AQ3D is currently in open beta and is expected to go live on October 13, 2017. For more details on the stages, see this page. Will there be another character reset after open beta? There are no plans for another reset to happen.